Aer Lingus Regional, operated by Stobart Air, today launched the first flight on its new route from Dublin to East-Midlands Airport in the UK. The addition of East Midlands brings to 27 the number of destinations served by Aer Lingus Regional for the summer season and follows the recent announcement of a new route to Doncaster Sheffield from Dublin Airport and Birmingham from Shannon Airport. 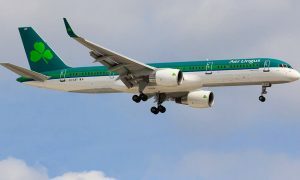 Aer Lingus Regional expects to carry up to 30,000 customers on the route in the first twelve months and will operate all services on the company’s brand new fleet of aircraft. All flights to and from East Midlands will operate from Aer Lingus’ hub at Dublin Airport’s new Terminal 2. This summer Aer Lingus Regional will operate 560 flights per week across 27 routes in Ireland, the UK and France. “We are delighted to add East Midlands Airport to the Aer Lingus Regional schedule and we’re excited to welcome passengers on board today’s inaugural flight”. 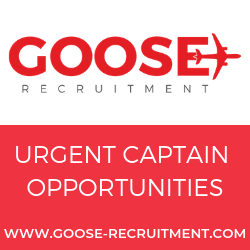 “The new route connects Dublin with one of the UK’s busiest airports and means that the airline is now servicing 27 of the main UK destinations from Ireland. As a regional airline, connectivity and choice is key for our customers and the addition of East Midlands reflects our ambition to provide more options for our passengers”. “The cities of Derby, Leicester and Nottingham all have thriving business communities and the availability of a daily service to and from Dublin will only succeed in bringing these business communities closer together, as well as offering Irish holiday makers the opportunity to explore beautiful English counties such as Nottinghamshire, Leicestershire, Staffordshire and South Yorkshire”. “We are delighted to see connections between Dublin and East Midlands established,” said Dublin Airport Managing Director, Vincent Harrison. “This new service offers additional choice for both business and leisure passengers travelling between Ireland and Britain and also provides easy connections to Dublin Airport’s growing route network,” Mr Harrison added.